First published in the Independent Wednesday, 17 December 1997. Daphne Winifred Louise Vivian, writer: born 11 July 1904; married 1926 Viscount Weymouth (succeeded 1946 as sixth Marquess of Bath, died 1992; two sons, and two sons and one daughter deceased; marriage dissolved 1953), 1953 Xan Fielding (died 1991; marriage dissolved 1978); died 5 December 1997. Daphne Fielding was a society author in the decades between 1950 and 1980. Having been a part of the world of Bright Young Things in the 1920s, she was well known in society as the Marchioness of Bath, and following her marriage to Xan Fielding she produced a stream of books of easy charm which achieved great popularity. Good-looking when young, in later life she was a tall, handsome figure, and could have been mistaken for a distinguished actress. Daphne was the daughter of the fourth Lord Vivian and his wife, Barbara, a former Gaiety Girl, who was to marry three further times. The family was eccentric; many years later, her brother the fifth Lord Vivian (who died in 1991), variously a farm labourer in Canada, a publicity manager in San Francisco and a partner of the impresario C.B. Cochran, had the misfortune to be shot in the stomach in 1954 by his mistress Mavis Wheeler, the former wife of Sir Mortimer Wheeler, the archaeologist, a drama which occupied the headlines for many days. 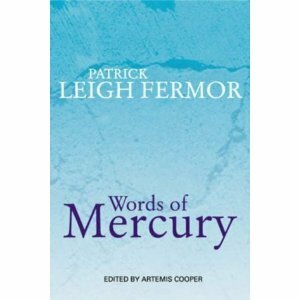 Daphne emerged from a childhood which was a mixture of hilarity and insecurity, later described with relish in her memoirs, Mercury Presides (though Evelyn Waugh declared these as “marred by discretion and good taste”). She passed through Queen’s College in London, and St James’s, Malvern, and gravitated, through her friends the Lygon sisters, to the stimulating world of Oxford in the 1920s, and to that set dominated by Harold Acton, Evelyn Waugh and Brian Howard. The friends she made then were friends for life, a group that gave each other unswerving loyalty despite infidelities and political differences, everlastingly self-protecting; and a group through which she met Viscount Weymouth, heir to the Marquess of Bath. Old Lord Bath in 1928 handed the running of the Wiltshire family seat, Longleat, to his son (not without certain misgivings about his capacity for work) and he and Daphne threw themselves wholeheartedly into the management of the estate. They employed Russell Page to redo the gardens and were involved in extensive forestry work. To supplement her income, Daphne wrote articles for newspapers and magazines, which brought her under the protective care of Lord Beaverbrook. Henry Weymouth spent much of the Second World War as a prisoner of the Germans, which did not help the marriage. In 1946 he succeeded his father as Marquess of Bath. Forced by crippling death duties he opened Longleat to the public in 1949, with an entrance fee of half a crown a head. By 1953 he had added a tearoom and tennis court, laid out a putting green, and floated pedalos for hire on the lake. But the marriage was over and the Baths were divorced in May 1953. Daphne wrote the first guidebook to Longleat, a lively history of the Thynne family from 1566 to 1949, which she researched and wrote in three weeks. This she followed with Before the Sunset Fades (1953), a slim 30- page book about life above and below stairs at Long- leat, decorated, appropriately, by her old friend and Wiltshire neighbour Cecil Beaton. In 1953 she married the war hero and travel writer Xan Fielding, a man 14 years her junior, a happy marriage which lasted until 1978. During these years they lived variously in Cornwall, Morocco, Portugal and Uzes, where they settled for some years, surrounded by a variety of pets and visited by their many friends. The Duchess of Jermyn Street, a life of Rosa Lewis of the Cavendish Hotel subsequently serialised on television, was to have been written with the help of George Kinnaird (a writer who also used to help Baroness de Stoekl with her books), but he gave up while going through a divorce. It was published in 1964 and Evelyn Waugh described it as “jolly good but I think full of inaccuracies”. She wrote a joint life of Lady Cunard and her daughter Nancy, Emerald and Nancy (1968), which her friend Dirk Bogarde judged “light on the intellect”, fearing that Fielding had whitewashed these two monsters on the grounds that “she couldn’t be beastly to chums”; and a portrait of Iris Tree, The Rainbow Picnic (1974). Raleigh Trevelyan, of Hamish Hamilton, then commissioned her to write a life of Gladys Deacon, the 93-year-old Duchess of Marlborough, whom he had come across while researching his book about the Whitakers of Sicily, Princes Under the Volcano (1972). This was not her usual milieu, since the duchess belonged to the belle epoque and intellectual world of Paris of a generation older than Daphne Fielding. Nevertheless she was able to tap her wide circle of loyal friends for anecdotes. To her surprise a man wrongly described as “a young intellectual” proved to have embarked on the same research. However, her friends closed ranks around her, and a word from Lady Diana Cooper to her biographer, Philip Ziegler, caused him to drop the rival’s incipient Collins contract like a hot potato. Her friend Robert Heber-Percy averred that Daphne Fielding was a better conversationalist and letter-writer than author of books. In 1978 Xan Fielding left Daphne for a lady described by her friends as “an older woman”. Bereft but brave, she was lucky to meet once more an old Oxford friend, Ben Kittridge, an American millionaire, with whom she went to live in Arizona until his death in 1981. Thereafter she returned to England and settled in the Old Laundry in the shadow of Badminton, where for two years the fox-hunting 10th Duke of Beaufort (“Master”) lived on, and where, until her death from cancer in 1995, her daughter Caroline lived as the next Duchess of Beaufort. Daphne Fielding’s last years were spent there. At the famous Horse Trials she could be seen driving about in a tiny self- propelled vehicle and every Sunday she lunched with her son-in-law, where she was a by no means unnoticed figure at the table. This entry was posted in In Tearing Haste, Paddy's Friends and tagged Daphne Fielding, Evelyn Waugh, Patrick Leigh Fermor, Xan Fielding on September 4, 2010 by proverbs6to10. Young officer who served in Crete and then joined SOE working with many of Paddy’s colleagues. It is almost certain Paddy and Smith-Hughes met but there is no mention in this obituary. John Smith-Hughes, soldier and barrister: born 27 November 1918; OBE 1945; married 1945 Angela Louvaris (died 1972; one son, one daughter); died Tortola, Virgin Islands 4 March 1994. LIKE many of those who joined Special Operations Executive in the Middle East, Jack Smith-Hughes possessed considerable intellectual talents matched by a lack of reverence for conventional army pieties. His path to SOE’s headquarters in Cairo had also been decidedly unpredictable. At the end of 1940, Smith- Hughes, a portly and precocious 22-year-old subaltern in the Royal Army Service Corps, was shipped to Crete as part of the Allied garrison sent to defend the island after the Italian invasion of Greece. When the German airborne invasion took place in May 1941, he was in charge of shipping supplies to outlying detachments from Chania, in north- west Crete. On the night that Brigadier Robert Laycock and Evelyn Waugh landed with the Layforce commandos at Suda Bay, the most chaotic moment of the battle, Smith-Hughes was astonished to find himself walking up and down the jetty for a considerable time with General Bernard Freyberg VC, the Allied commander on the island. Freyberg was worried that the Australian force at Rethymno, on the coast to the east, would not receive the order to withdraw. Unfortunately, this concern for his troops meant that Freyberg was out of touch with his headquarters during several hours while the last Allied counter-attack collapsed in confusion. The next day, retreat nearly turned into rout. Smith-Hughes was soon one of the 20,000 exhausted men making their way over the White Mountains to the southern coast for evacuation by the Royal Navy. He was one of the unlucky ones. On his way to join the queue on the last evening, he was turned back by an embarkation officer and told not to worry: the warships would be back again the following night. A couple of hours later, he realised that the man had lied to him. Captured by Austrian Alpine troops the next morning, he was marched back over the mountains, the most painful journey of all, to prison camp. He escaped soon afterwards and hid at the house of Colonel Andreas Papadakis, who later proclaimed himself chief of the Cretan Resistance. George Psychoundakis, ‘The Cretan Runner’, then guided him to the monastery of Preveli on the south coast. Evacuated finally to Egypt by submarine, Smith- Hughes had the satistaction in a Cairo restaurant of encountering the embarkation officer again and telling him exactly what he thought of him. To his surprise, Smith-Hughes was summoned to SOE’s Cairo headquarters, in Rustum Buildings – known to Cairene taxi-drivers as ‘secret building’. He was then sent back to Crete ‘to feel out the country and see who had influence’. Accompanied by Ralph Stockbridge of Inter-Services Liaison Department, the cover-name for MI6, he landed on 9 October 1941. Smith-Hughes was fortunate not to never encounter a German patrol or roadblock: his Cretan disguise only seemed to draw attention to his unusual bulk, his Britishly pink compexion, and his ungainly walk. Smith-Hughes and Stockbridge set off to see Papadakis, the only person they knew who claimed to have influence. But Papadakis’s folies de grandeur made him impossible to use as a focus of resistance. Other leaders were sounded out, mainly those rallied by the archaeologist John Pendlebury who had then been executed by German paratroopers during the battle. Smith-Hughes handed over to Monty Woodhouse from Egypt shortly before Christmas and returned to Cairo, where he ran the Cretan desk at SOE headquarters with great skill. Promoted to major, Smith- Hughes managed to preserve the section from the terrible infighting in Rustum Buildings by moving out to an annexe. It was Smith- Hughes who briefed and backed up Woodhouse’s successor, Tom Dunbabin, another distinguished archaeologist of great courage, and his two deputies, Xan Fielding for western Crete and Patrick Leigh Fermor for eastern Crete. Unusually for SOE in the Middle East, the Cretan section, B5, was neither riven by animosity nor plagued by rivalry with ISLD. Smith-Hughes’s joint mission with Stockbridge laid the foundations for an unusual degree of co-operation between the two organisations, and he managed to maintain it even in the torrid bureaucratic warfare carried out by the ‘Gaberdine swine’ in Cairo. The Germans did all they could to track down the ‘espionage organisation of Captain Huse’, as one of their reports put it. But perhaps the greatest contribution made by SOE officers in the field and in Cairo was to prevent the latent civil war between the Cretan nationalist EOK and the Communist-dominated EAM-ELAS from exploding into a war to the knife. After the liberation of Heraklion, when a reactionary kapitan shot and wounded one of the Communist andarte leaders, Dunbabin and Smith-Hughes managed to prevent an explosion by driving round the town in open jeeps, and persuading both sides to back away from a battle which would have led to the virtual annihilation of the Communists. The Nationalists, unlike their counterparts on mainland Greece, were untainted by collaboration and much stronger than the Left. Smith-Hughes, with typical self-deprecating humour, recounted that his most terrifying experience during the war was the formal liberation of Kastelli Kissamou, on the north-west tip of Crete. As a mark of honour, the Cretan kapitan for the area insisted that he should ride with him into the town. Smith- Hughes, who had never felt comfortable with horses, was obliged to overcome his fears, and when the cheering crowds made the horse caracole, he had to hold on to the saddle with both hands. After the war, Smith-Hughes turned his incisive mind and astonishing memory to the law, first in the Army, and then as a barrister at Tortola in the Virgin Islands, where he became Attorney-General. In 1991, he returned to Crete for the 50th anniversary of the battle and was one of the guests at the memorable all-night glendi in honour of Patrick Leigh Fermor and his Cretan comrades who abducted General Heinrich Kreipe in April 1944. This entry was posted in Other SOE Obituaries and tagged Cairo, Cretan Runner, Crete, Evelyn Waugh, George Psychoundakis, Ralph Stockbridge on May 26, 2010 by proverbs6to10.